Chinese see ‘Big Brother’ as a means to generate something the country sorely lacks: trust. Who says government can’t innovate? In one Chinese city, the local court system recently launched a smartphone-based map that displays the location and identity of anyone within 500 meters who’s landed on a government creditworthiness blacklist. Worried the person seated next to you at Starbucks might not have paid a court-approved fine? The Deadbeat Map, as it’s known, provides pinpoint confirmation, the ability to share that information via social media and — if so inclined — a reporting function to notify the authorities. As in many developing countries, the fact is that China’s economic growth has outpaced its ability to create and police institutions that promote trust between citizens and businesses. For example, a decade after Chinese milk producers were revealed to be adulterating infant formula, Chinese parents still shun the country’s dairy industry and distrust of food producers remains almost universal. Meanwhile, China remains the counterfeiting capital of the world. Some of its most recognizable companies — including Alibaba Group Holding Ltd., Tencent Holdings Ltd., and Pinduoduo Inc. — are known as thriving markets for fakes, thereby undermining the credibility of Chinese e-commerce in general. Trust between individuals isn’t much healthier. Scams and frauds — including dating scams — targeting individuals and families are daily fodder on Chinese news programs. This contributes to a general mood of suspiciousness. In its most basic form, that might mean a company chooses to get into the credit-reporting business and starts collecting individual consumer financial data. The government’s interests are far broader. For example, the National Travel Bureau collects information on “uncivilized” travelers, publicizes it and uses it to keep those travelers off planes and trains. Rather than generating outrage, these digital debtor prisons have proven extremely popular. A 2018 survey of more than 2,200 Chinese citizens found that 80 percent had joined a commercial social-credit system (Sesame Credit, which requires users to opt-in, was the most popular service), although only 7 percent were aware of that they’d been included within a government system. More surprisingly, 80 percent of respondents either somewhat or strongly approved of social-credit systems, with the strongest support coming from older, educated and more affluent urbanites — a demographic generally associated with more “liberal” values such as the sanctity of privacy. It’s possible that many citizens haven’t thought through the implications of having their lives recorded in such minute detail. At the same time, a whopping 76 percent of survey participants said that “mutual mistrust between citizens” is a problem in Chinese society. Social-credit systems are viewed as a means of bridging that trust gap. Of course, that’s not going to be the case for everyone. It’s difficult to imagine that there’s any good use for the Deadbeat Map, beyond public shaming and cruel entertainment. 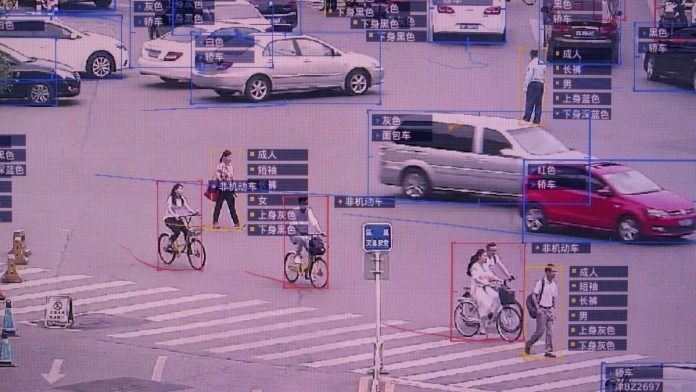 Likewise, if and when the Chinese government manages to consolidate its various systems into an overarching technology that rates individuals against a host of criteria — including, perhaps dissident political opinions — and punishes them for malfeasance, China’s citizens might very well turn on the idea. Nobody, not even someone conditioned to an authoritarian government, wants their life dictated by a score or rating.